The attitude towards the use of corpses and organs of the dead in medicine and scientific research has seriously changed throughout the history of civilization. In China, autopsy was considered a desecration and was banned. In Greco-Roman medicine, the work with corpses was also banned: neither Hippocrates nor Galen did not dissect a man, but studied animal corpses or sewed up wounds, that was the reason of some their errors on the anatomy and physiology of man. When in the 4th century BC Alexandrian king Ptolemy I permitted to dissect corpses, doctors actively used this opportunity. However, with the spread of Christianity, autopsy began to be viewed as unethical. For example, an outstanding anatomist Andreas Vesalius escaped miraculously the prosecution of the Inquisition for such activity. Even in the Modern Times, when work with corpses was partially permitted, the autopsy of the dead met negative attitude from the public. However, some doctors tried to overcome public opinion, demonstrating the undeniable advantages of pathoanatomical research for the development of medical knowledge. At the same time in the Modern Times there was a serious problem of lack of bodies of the dead. Ordinary people did not want to sacrifice their bodies to science, because they believed in resurrection in flesh and blood, and corpses for physicians mostly came after executions. In Paris, attempting to solve this problem, doctors were allowed to dissect bodies of poor people who died in hospitals. However, many physicians had to secretly kidnap corpses of their own relatives, so about the surgeon William Harvey. It was common opinion that he was so keen on his business that he could dissect his own father or sister. Many doctors even dig out bodies from fresh graves in the cemetery. Formally, this was not even considered a crime, since only the plunder of the grave was punished. The extraction of corpses for science and medicine in European countries became at some point even a profitable business. Known is the case of Edinburgh doctor Robert Knox, who paid two strangers for a corpse that they accidentally found, after which, realizing that they can make good money on this, they killed many homeless and beggars, selling their corpses to doctors. Today, despite the development of computer and information technologies, there is also a need to use the bodies or individual organs of 88 deceased people in the educational or research process. The question arises, which ethical principles and legal nuances must be observed while doing this? As with alive individuals, the principle of respect for autonomy and the rule of informed consent are the most important principles in dealing with the deceased. How can they relate to an already died person? The fact is that a person can express his will on this issue in writing or orally in the presence of witnesses during his lifetime, or the right of choice is transferred to the relatives of the deceased. For example, a pathoanatomical study of a deceased is carried out only if there is a prior consent of the person, or at the request of his relatives. In this case, there are cases determined by law in which an autopsy will be mandatory and the opinion of relatives will not be taken into account. Among them, for example, an infectious disease or a suspicion of it, an unclear diagnosis of the disease, conflict situations in the process of medical care, etc. When it comes to the use of the body of the deceased in science or in the educational process, the concept of anatomical gift comes into force. This is a decision of person to be transferred after the death to a health care organization or educational institution for use in the educational process and scientific research. The decision about anatomical gift should be taken by a person consciously, voluntarily and in many countries only on a noncommercial basis. In this case, a citizen has the right at any time to cancel his order for anatomical gift. In a number of countries, because of the lack of information, peculiarities of mentality, religious traditions, an anatomical gift is performed by a small number of people. For this reason, education and health institutions often lack the bodies of the deceased for scientific work. In other countries, for example, in the USA there are special tissue banks that sell anatomical preparations for scientific and educational purposes. You can donate a body to such bank simply by leaving an application on the Internet. Legislation also contains another mechanism to provide bodies of the deceased to health or education organizations. This is the use of an unclaimed body. 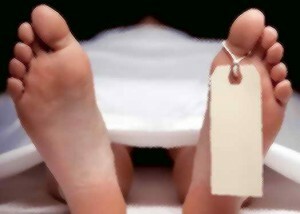 The body of a deceased person, which relatives have not applied for, is legally required to stay in the morgue for free within 45 days from the date of establishment of the cause of death. At the end of this period, the body can be transferred to medical institutions for use in the educational process and scientific research. If the body is not in demand by these organizations, a burial occurs. Since the dignity of a person does not disappear after death, it is necessary to observe the following ethical principles when working with corpses or anatomical gifts: 1) respectful attitude to the body of the deceased, any form of abuse of the corpse should be punished in accordance with the legislature up to imprisonment; 2) the anonymity of the corpse used in the educational process, which is marked with the registration number in the journal without disclosing personal data; 3) preventing the depersonalization of the deceased, i.e. all fragments and tissues should be collected in personal containers for each corpse and stored separately; 4) a decent burial of the ashes of man who served medicine.